Definition: Security has very important roles to play in any ERP implementation. The security aspects of an ERP to helps the administrator to restrict the data to the users and provides the enough right to the user as per the roles and responsibilities (department). Security administrator can controls the rights of access different Modules, Form, reports based on the User group or individual user. A security role represents a behaviour pattern that a person in the organization can play. A security role includes one or more duties. A duty is a responsibility to perform one or more tasks. A duty includes one or more privileges. Privileges specify the access that is required to perform a duty. A privilege includes one or more permissions. Privileges specify the access that is required to perform a duty. A privilege includes one or more permissions i.e. 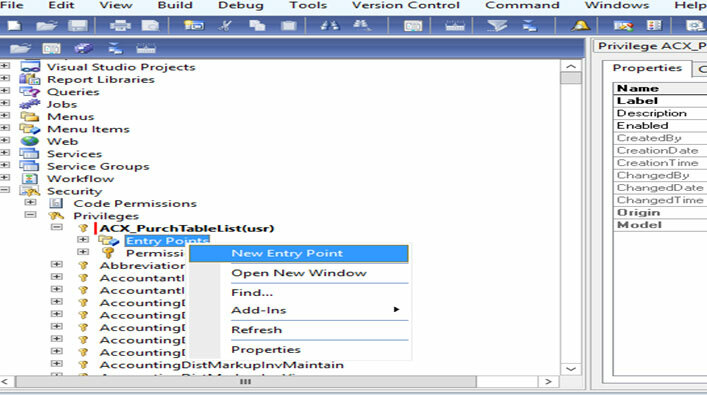 we can more than one entry points by simply drag and drop functionality based on the menu item. 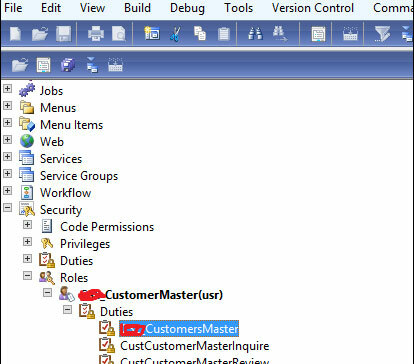 And you can set the access level on the entry point permission properties as No Access, read, update, create, correct and delete. Delete the highest permission level. 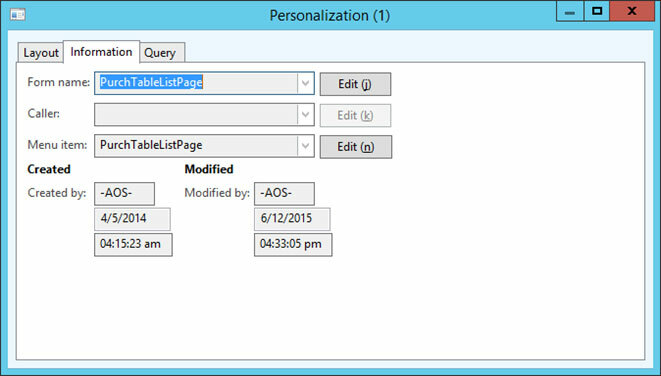 Correct - User can View, Edit, Create new and correct date-effective records without creating new records. Now we have to create roles and drag duties earlier we have created under the Duties node. 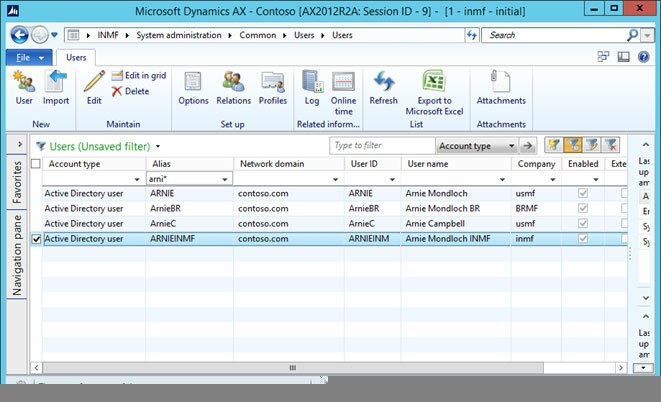 All of the users must be assigned at least one security role to have access to Microsoft Dynamics AX. By managing the user’s access through security roles. include the access level to one or more securable objects that are required to perform the function associated with an entry point. System will be more secure. User can access their respected module. He will not enter into the other module. Data will be safe and secure. 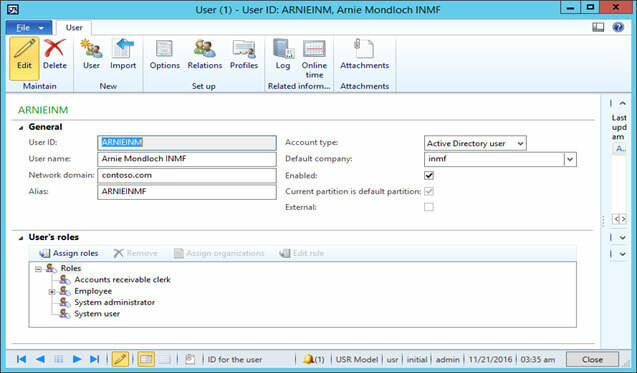 No other user has to delete any record in ax 2012. 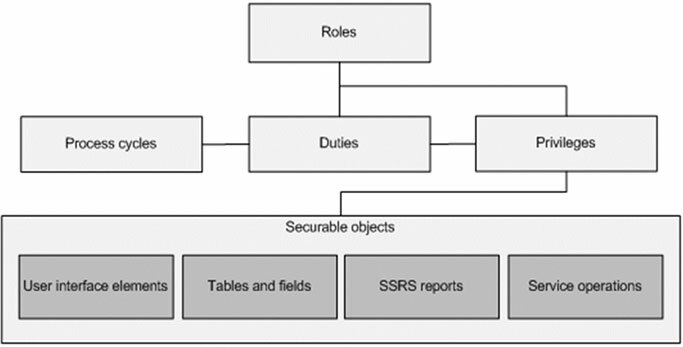 Security – Standard Operating Procedure (Policy, Process, Roles, and Audit). Security Roles:- All users must be assigned to at least one security role in order to have access to Microsoft Dynamics AX. 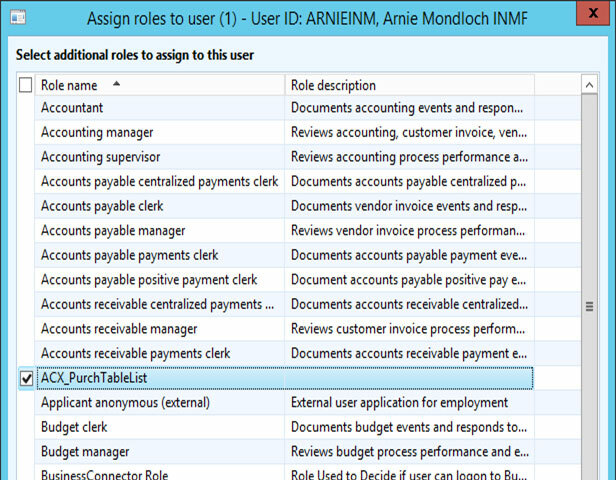 Roles combine multiple Duties in order to allow a user to perform the multiple process necessary to perform their specified day job. Users are assigned to one or more security roles. Duty:- A Duty combines multiple privileges in order to provide a user with the appropriate access to perform a specific process within AX. Duties are designed with a specific business objective in mind. Privileges: - specify the access that is required to perform a duty. 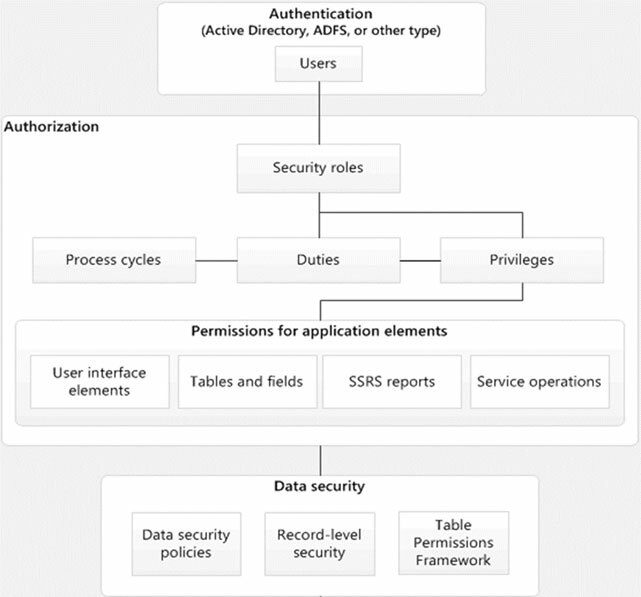 A privilege contains permissions to individual application objects, such as user interface elements and tables. 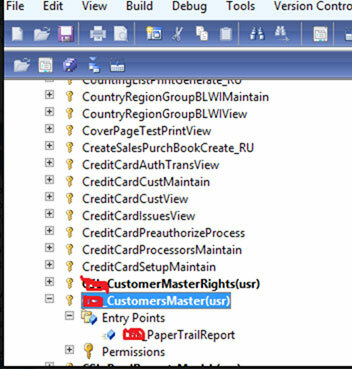 Privileges group together related securable objects. For example, menu items and controls. Privileges can be assigned directly to roles. However, for easier maintenance, we recommend only assigning duties to roles. Entry Point: - An entry point is the object that triggers a user action to start a particular function, such as a form or a service. 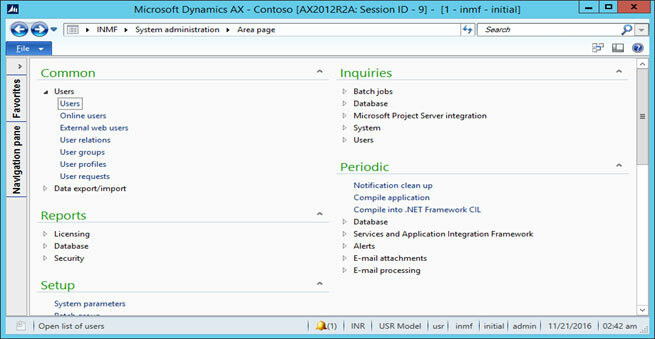 In Microsoft Dynamics AX, there are three different types of entry points - menu items, Web content items and service operations. Menu item:- Object of the form. Three type of Menu Item. 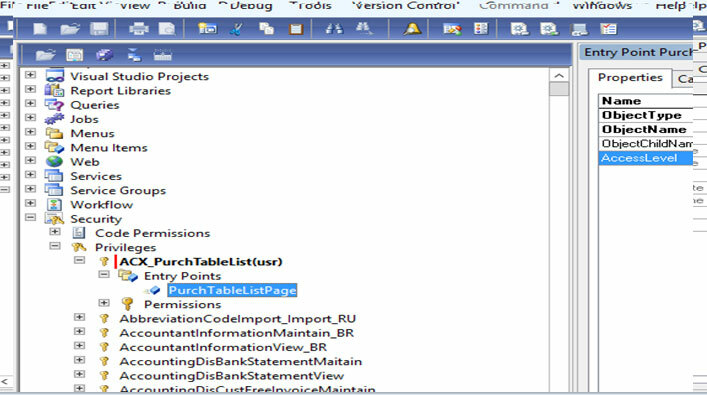 Output:- Objects which are primarily for presenting data to the user such as forms and dialog’s. 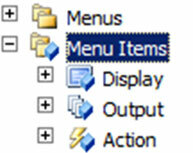 Display:- An output menu item should have the soul purpose to print a result. 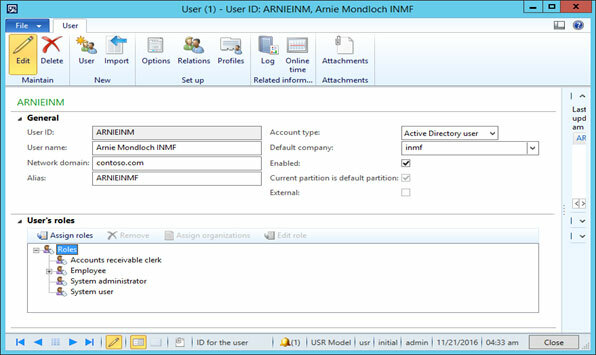 Permission:- Include the access level to one or more Securable object that are required to perform the function associated with an entry point .This could include any tables, fields, forms or server side methods that are accessible through the entry point. There are Six type of permission. 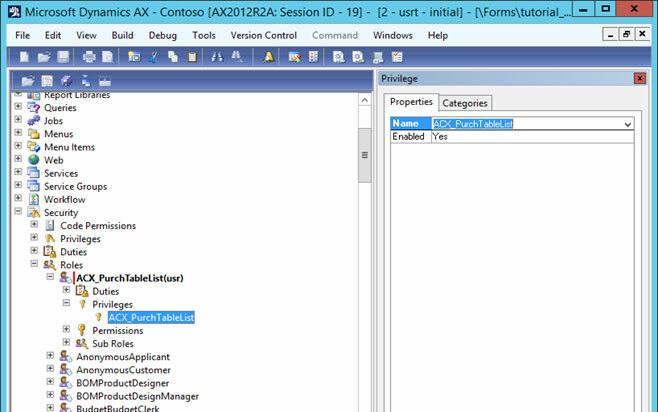 This is the path where all the users are defined in the ax 2012. •	Select user name and edit. 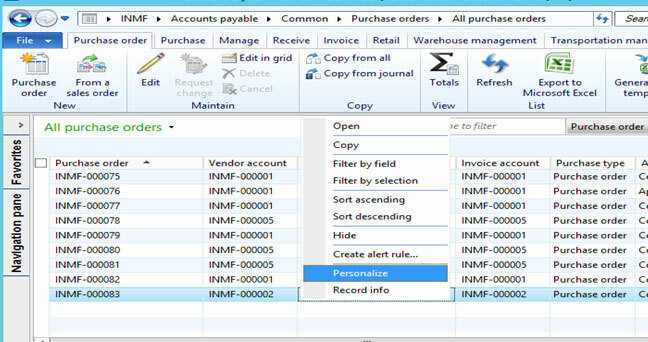 •	Open the desired form, which you want to give the access on it (Here I have used the purchase order form). 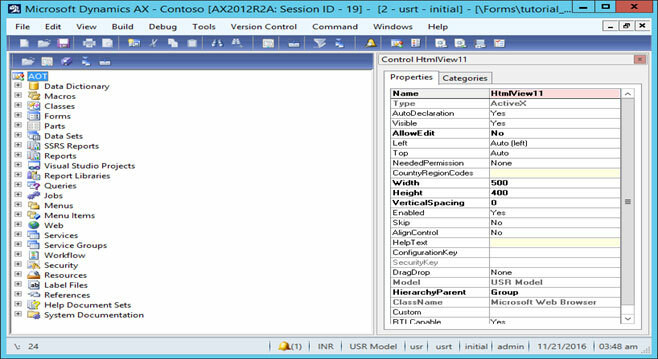 •	Find object name, right click on object and Select Personalize. 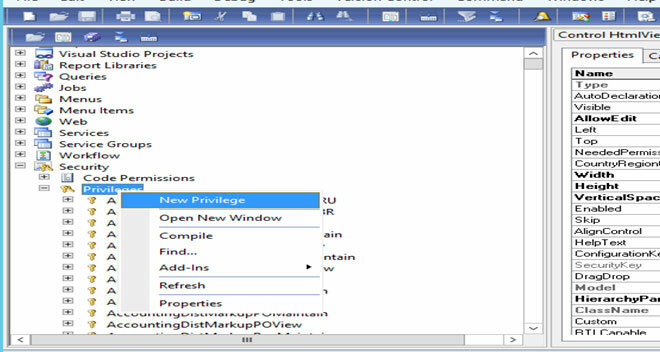 •	Check the form name and menu item in Information tab. •	Open AOT option for create privilege and roles, shortcut key is ctrl+D. •	Right click on Entry point and create new entry point. 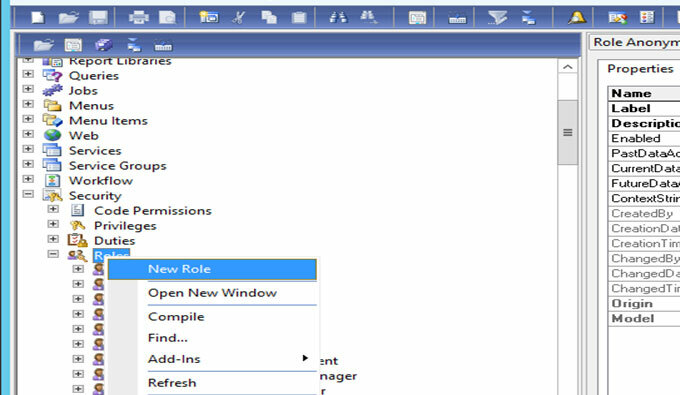 •	Right click on Roles and create new role. In the end , Suppose the user has rights of creating purchase order only , So when the user has to open the purchase order he can see the only one module that is account payable, in that module he have only rights to create purchase order only. 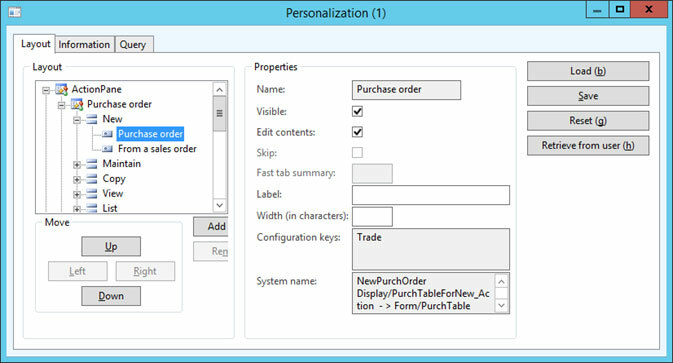 He will see only the purchase order list form where he can create, delete or edit the purchase order and also he cannot see the other module also. The purpose of the security is that user have their own right he can see only respected module which he want to work. So that our Axapta will be more secure after providing security. This blog is written by team of Dynamics AX senior developer from nexsoftsys.com, you can ask any question related on dynamics AX. Our Microsoft Dynamics AX consulting provide expert advice for various business sector like Industries, Health care, Logistics & other well-known industries.